Home / Eleaf / Eleaf Istick / Eleaf iStick 75W TC Box Mod / Eleaf iStick Pico / istick / iStick pico / iStick Pico 75W TC / Melo 3 Mini Tank / Why Eleaf Choose Melo 3 Mini Tank For Pico Mod ? As we all know that the best match for Eleaf iStick Pico Mod iS Melo 3 Mini Tank .Why Eleaf Choose This tank for the Pico mod ? 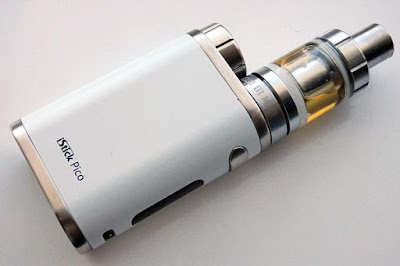 The Melo III Mini features a wide-bore drip tip that is a permanent part of the top cap. The top cap unscrews for an easy top-fill method for refilling the tank. The airflow is hidden, at the bottom of the tank, and can be adjusted for full on lung hits or tight mouth-to-lung draws.